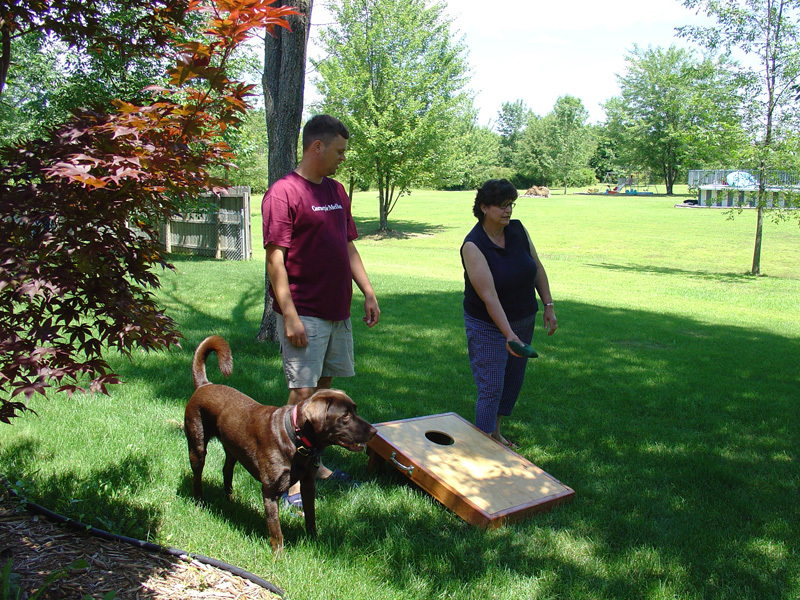 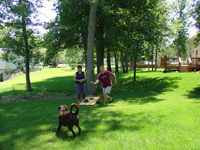 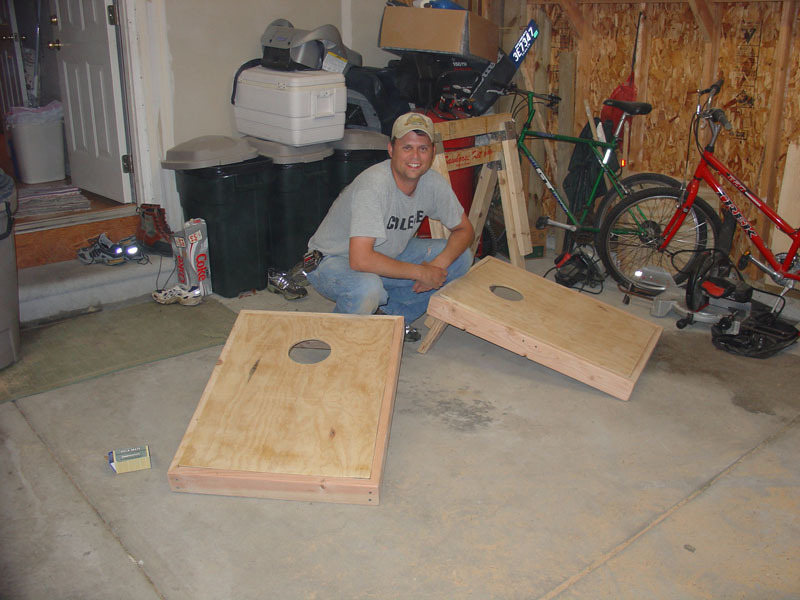 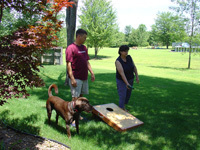 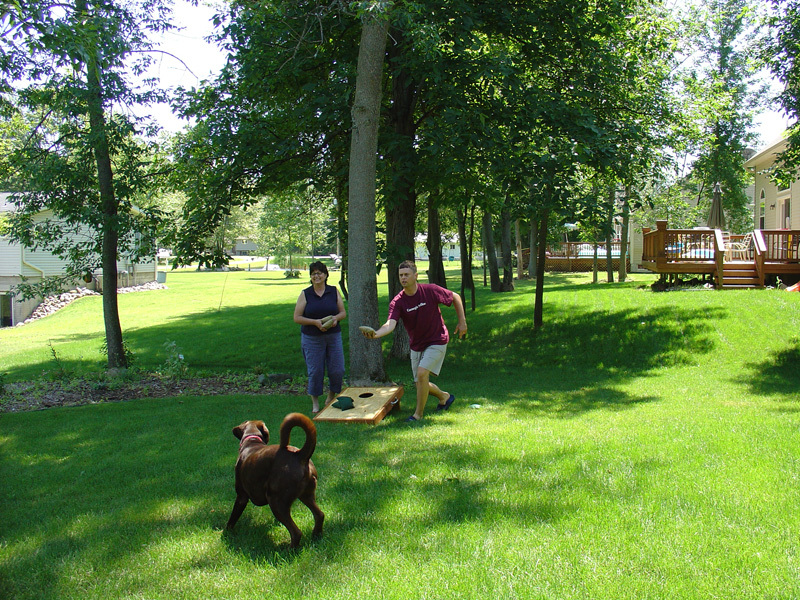 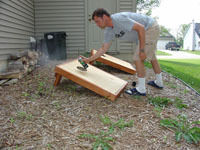 After returning from one of our trips salmon fishing (fall 2004), I decided to follow Spud's lead and build one of these "Corn hole" / Beanbag / Horseshoe games. I know it sounds funny, but you can find the rules here. 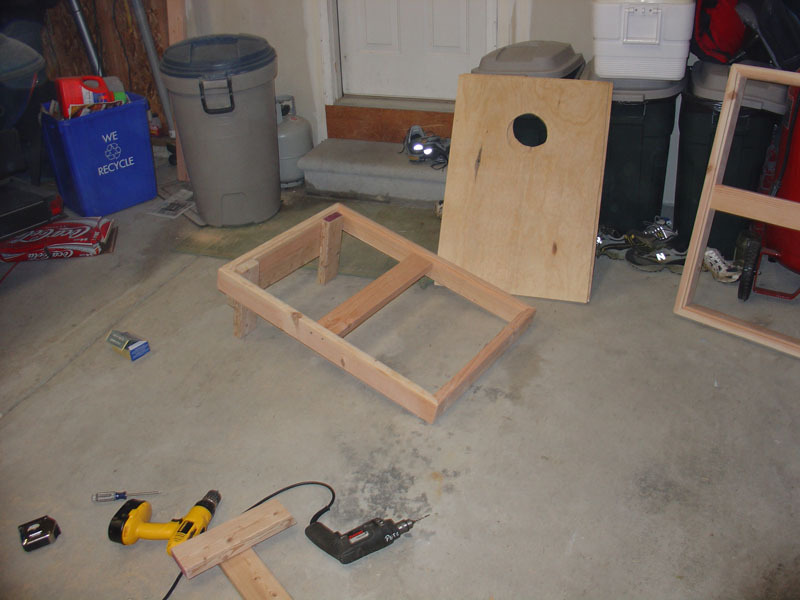 This game is a lot of fun and really simple. 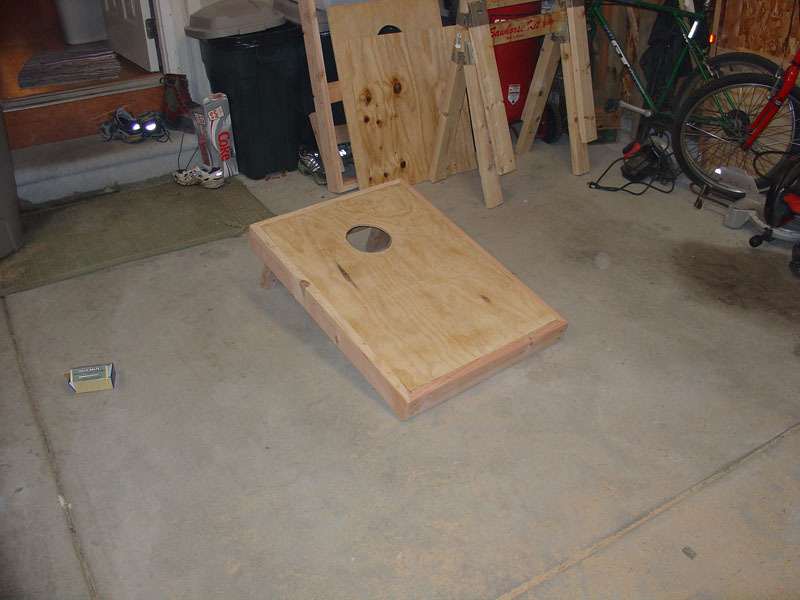 It is basically a couple 2 x 4s, a sheet of plywood, woodscrews, and beanbags. 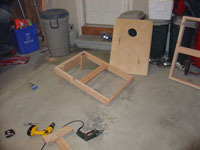 I added some hinges and stain. 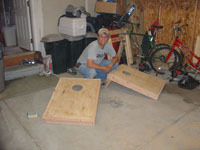 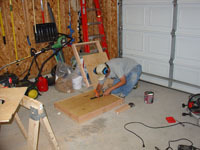 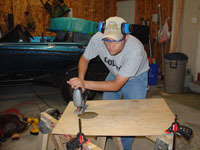 Below are a few pictures of me building the game pieces.